While the Prussian Kingdom itself is a club for Prussohpiles, we also do advocate for Prussian cultural and economic independence within the Prussian homeland of East Prussia and Danzig, for open borders between the three occupying powers of our homeland, and for political autonomy within that homeland. We do not demand political independence from the three occupying powers, for for the three respective zones to each have its own internal political autonomy, for their to be open borders between the three zones, for easy migration for persons of Prussian extraction or those who choose to adopt the Prussian nationality, and for protection of our historical and cultural landmarks as well as their restoration. Such an arrangement could be beneficial to the three occupying powers and to peace in the region. The controversial issue of German claims would also be dispensed with as Prussia has no intention of becoming part of the BDR and would be to Germany as the Austrians are, part of the greater German national people, Germania if you will, but politically independent of them, in fact, each of the three regions would become autonomous protectorates of their respective sponsor states- southern East Prussia and Danzig would be the Autonomous Protectorate of Danzig, borthern East Prussia wouldd be the Protectorate of Konigsberg, and Memeland would be the Protectorate of Memeland. Who then would be Prussian? People of Prussian descent, people who live in the lands and who choose to adopt Prussian, and people who are actual descendants of displaced inhabitants would be part of this entity called Prussia. Here is our stance- the Prussian heartland belongs to all Prussians in the same way as tribal lands in the US belong to those tribes, While many non-Prussians inhabit those lands, actual jurisdiction should belong to Prussian nationals, as we have defined them, who wish to preserve this as a homeland for all Prussians, whether to live there or to simply visit. Returning some measure of sovereignty to a Prussian organization that consists of all Prussians, using this formula of three protectorates, An larger organization, which might be the Prussian Homeland Society, would also have some administration in all three regions. 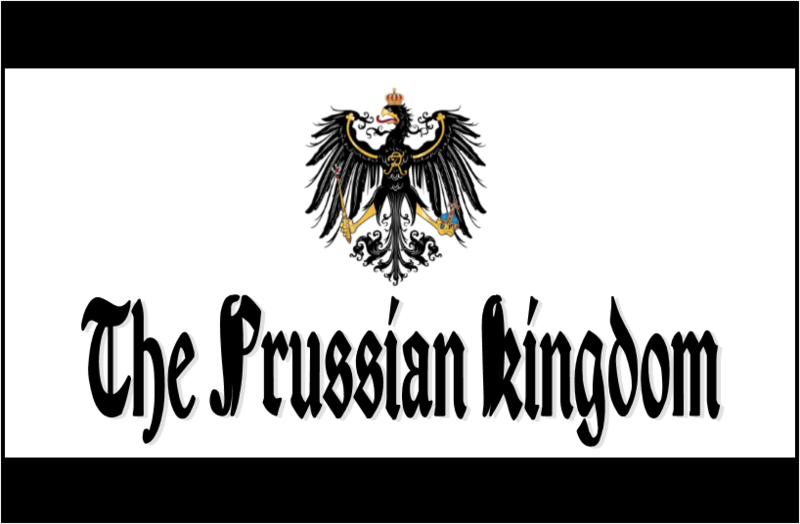 Under this scenario, the three powers would agree to to protect the Prussian nation, which we believe should be styled a Kingdom not dissimilar to our club in its approach, e.g. with a nobility of merit instead of inherited royalty. We hope there is a dialogue between the different pro-independence groups and three occupying powers.